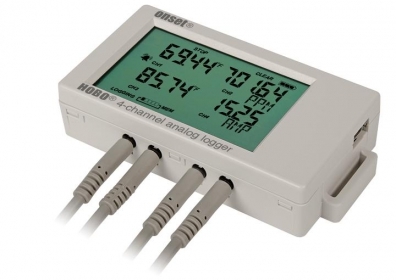 The HOBO UX120 Analog Input Data Logger is a high-performance, LCD display data logger for building performance monitoring applications. Benefits include a deployment-friendly LCD, and flexible support up to four external sensors for measuring temperature, current, CO2, voltage and more. Simply any sensor with a DC Voltage (0-24V using various Cable Adapters) or 4-20mA (using the required input cable) output or those from the Hobo Range. Temperature Sensor for use with U12 series data loggers. For measuring temperature in air, water or soil, the sensor comes with 6.1 m of cable.